License plate lights are important. Not only are they required by law at night, they can also look pretty cool with 6418 LED Bulbs. 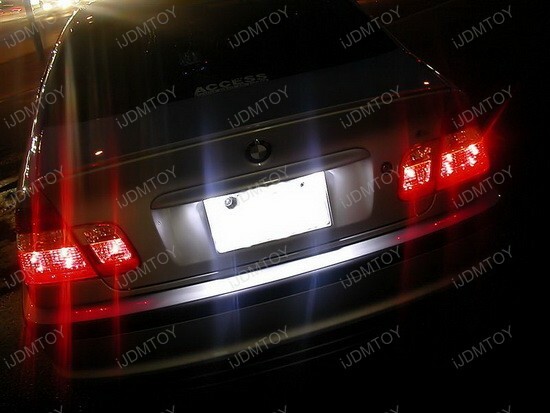 6418 LED Bulbs are license plate lights for 2004 BMW 330i. But why 6418 LED Bulbs? 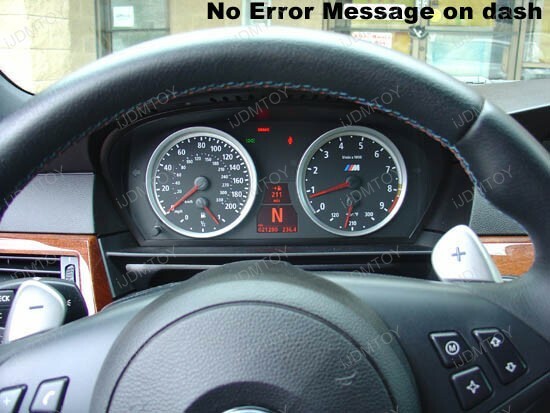 For starters, these will install onto 2004 BMW 330i without triggering any error messages. 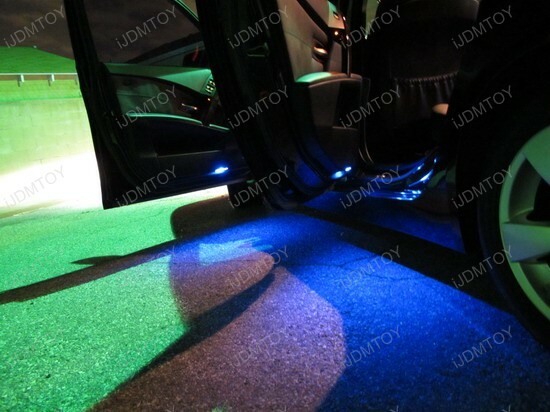 These bulbs are also much brighter compared to the regular stock bulbs to achieve a powerful illumination and unique style. 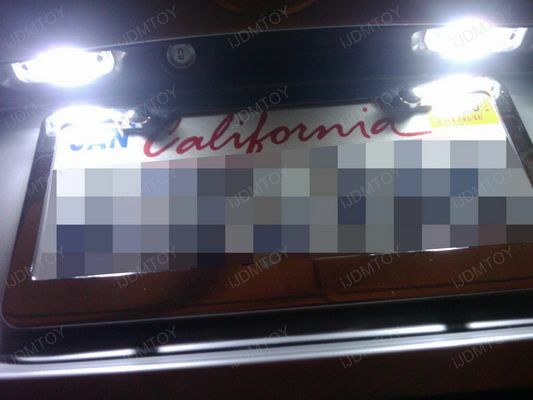 When you look at this photo, you’ll notice just how powerful the LED License Plate Lights are. They’re even brighter than the brake lights! That cool and crisp pure white color redefines what a BMW should be. 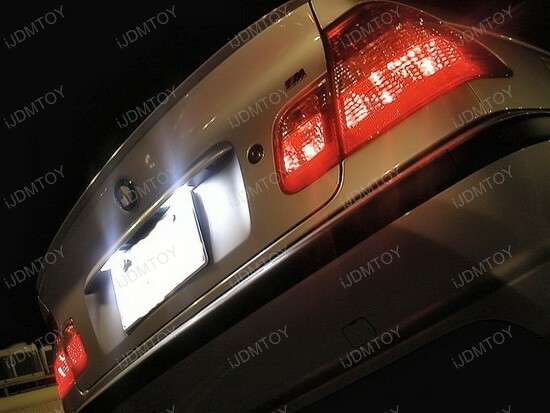 A BMW is a luxury automobile, drivers should give their BMWs the best lights, even license plate lights. Unless you’re a car hijacker, cops now won’t have any trouble seeing your license plate lights and won’t have any trouble in the future because LED consumes less power on your car battery than regular stock bulbs. Not only that, LED License Plate Lights has a far longer life than regular bulbs. They are much sturdier too to avoid any long term damage. In a nutshell, LED bulbs can last if not outlast your car. Certain drivers like myself have custom license plates. I’m not saying I’m a showoff but hey I spend money having a custom license plate, I might as well show it off and 6418 LED Bulbs are just the thing for that. The radiant light complements my unique license plate. 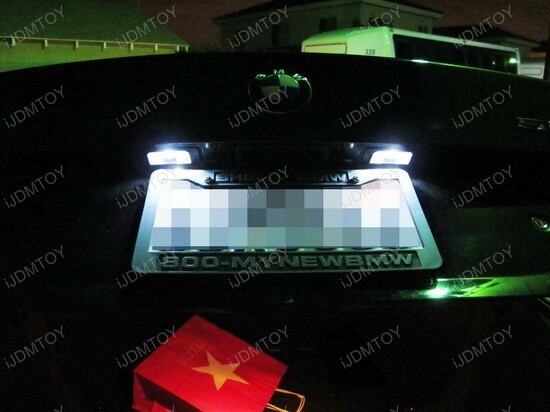 The bright LED License Plate Lights is on par with your car’s headlights. 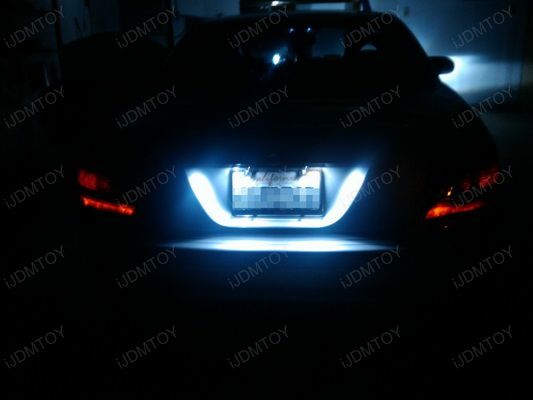 Installing LED License Plate Lights is a great complementary to your headlights. 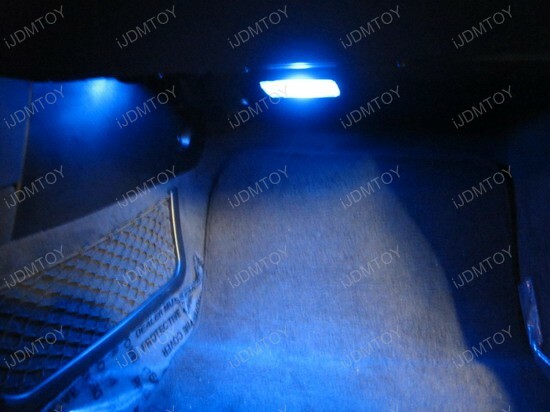 Now your car will have matching lights on both sides! These lights are so strong they can pretty much be your back up lights! 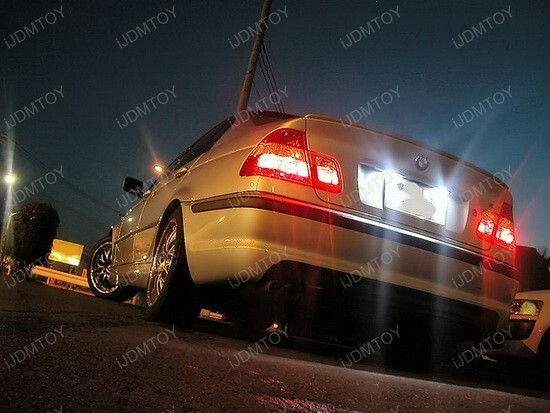 Brought to you by www.iJDMTOY.com, the one and only one automotive accessories store for all your Car LED Lights. Follow us on Facebook for exclusive promo codes. A few pictures of the 2009 Audi TT. 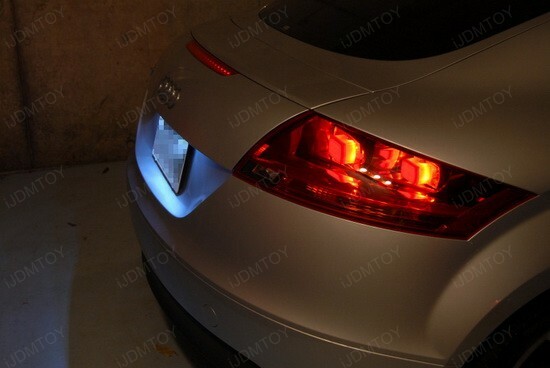 As you could see below, the lights on the Audi TT are LED. But to have good LED lights, you need to get error free LED bulbs for European vehicles. 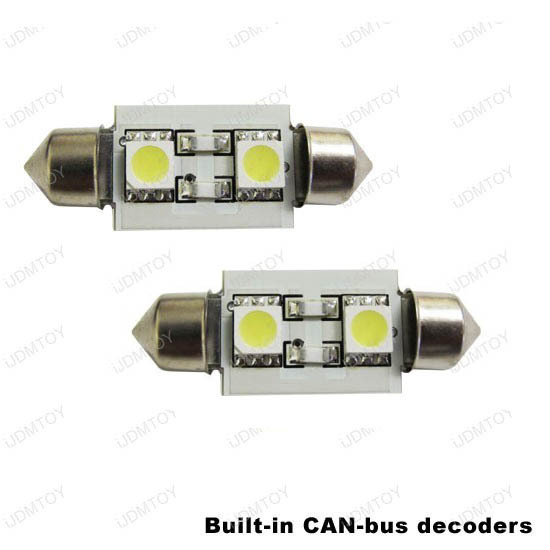 These LED license plate lights have CANbus load resistors that properly install when put into European vehicles. 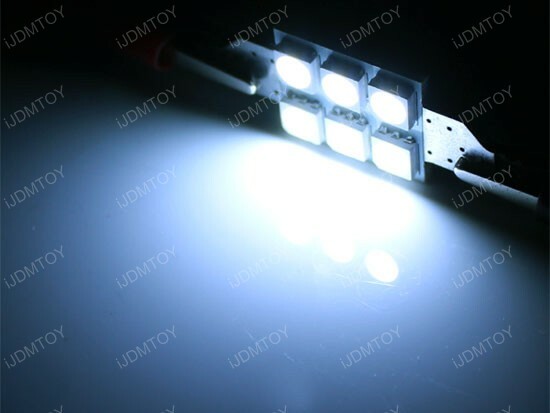 The LED lights installed are 2-SMD high power LED with 5050 SMD Cree chips, the leading manufacturer of LED lighting. We are pleased to carry this quality product at iJDMTOY. For more product pictures, please visit our Pictures and Video Gallery. 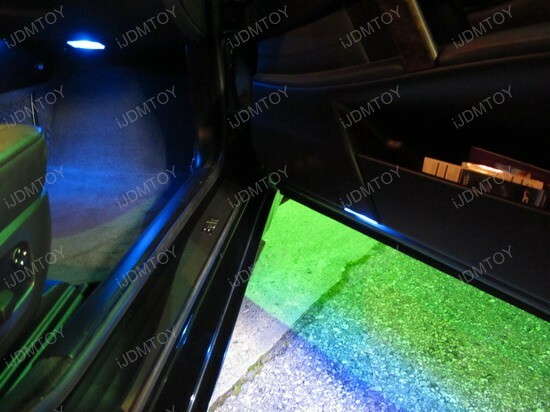 You can also find useful information on iJDMTOY Tech Support, Installation and DIY Guides as well. 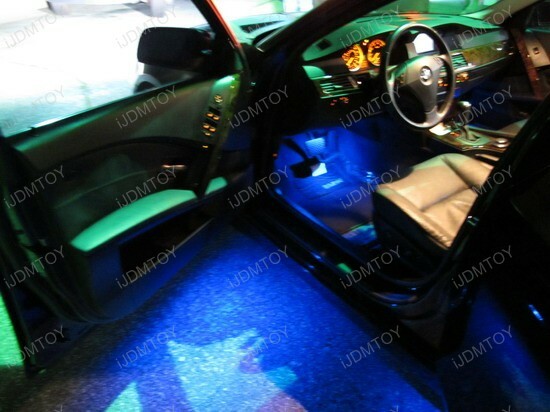 Brought to you by iJDMTOY.com, the one stop store for all your Super Bright LED Car Light needs. Ever want to customize your M5 to make it even more exciting? 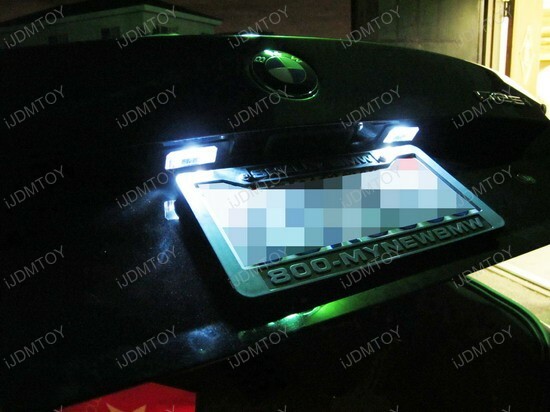 Try iJDMTOY error free LED license plate lights. Not only will this upgrade the look of your ride, but these LED bulbs have built-in load resistors that give no error messages on the dashboard area. 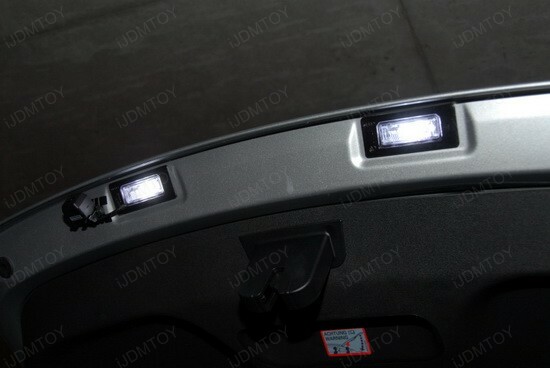 For a good shine try the high power 5050 SMD LED license plate light bulbs to replace 6411 or 6418 license plate bulbs. Our 6411 6418 LED bulbs are improved to fit the application of license plate lights and to provide high power LED performance. You will get the xenon white you’re looking for. Here are some pictures he took of his 2006 BMW E60 M5. 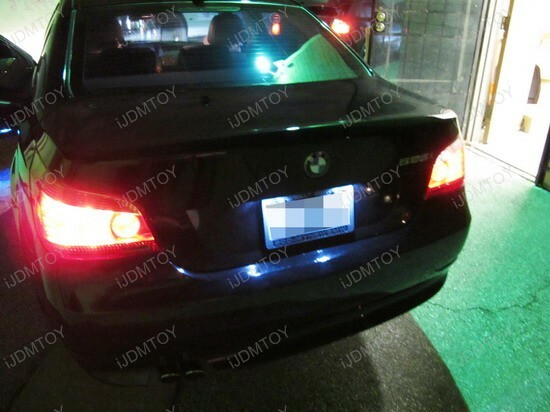 Recently, a customer of us installed some LED bulbs for his 2006 BMW E60 525i. 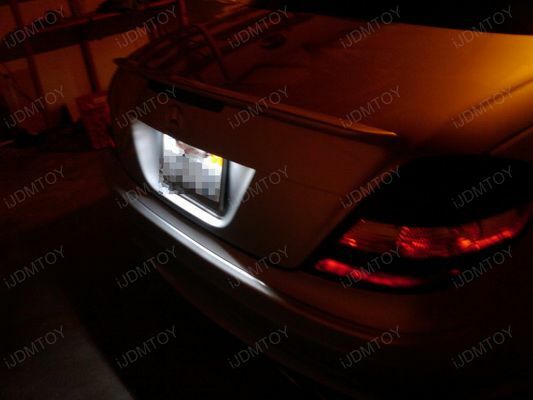 The lights installed are: Error Free LED bulbs (size: 6418) for license plate lights, 8-SMD T10 LED light bulbs (size: 2825) for under-door courtesy lights, and 6-SMD Wide Angle Shining 6418 LED light bulbs (size: 6418) for under dash lights, also known as foot area lights. 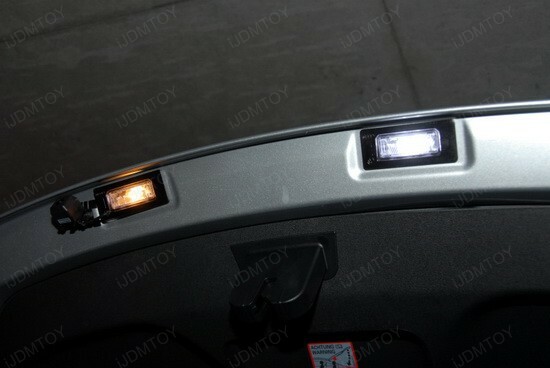 The license plate lights are Xenon White LED bulbs and the interior side door lights, and under dash foot area lights are Ultra Blue LED bulbs. 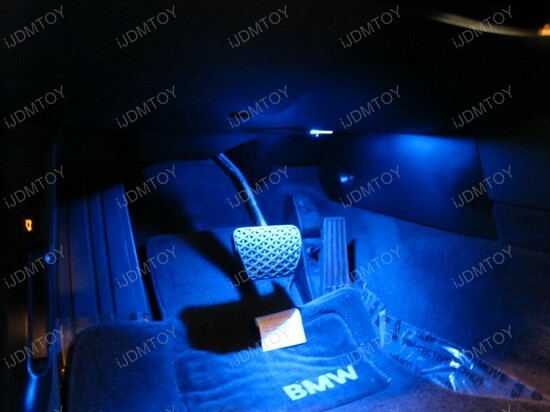 For more pictures about the LED lights we’ve sold and installed, please visit iJDMTOY Gallery Pictures For LED and HID. 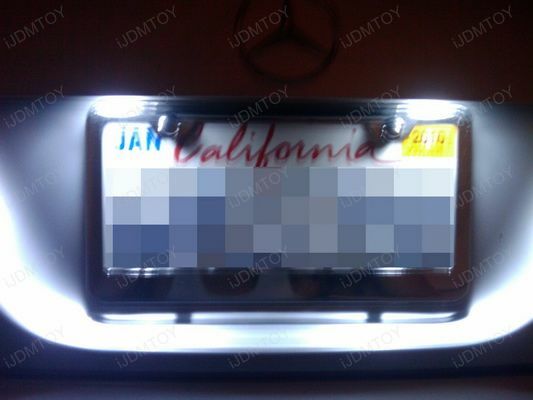 2008 Mercedes SLK350 installed the OBC Error Free 6418 LED bulbs for license number plate lights. 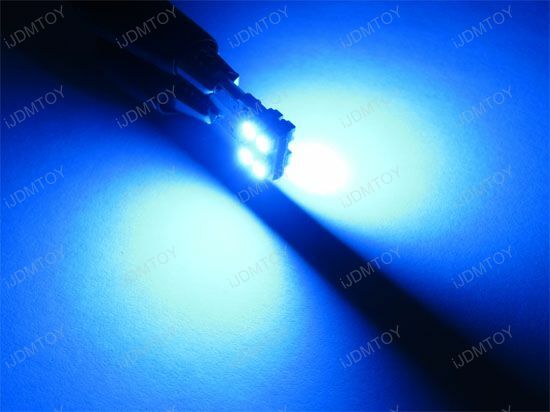 We carry these brand new JDM “BIHAKU” High Power Super Bright 5050 SMD D36mm LED bulbs with built-in load resistors, specially designed for European vehicles such as Audi, BMW, Mercedes, Porsche or Volkswagen’s license plate lights. 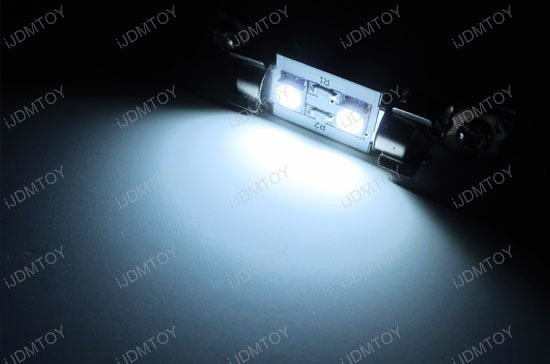 These JDM High Power OBC (on board computer) Error Free D36mm LED bulbs will replace the stock 6411, 6418 bulbs. 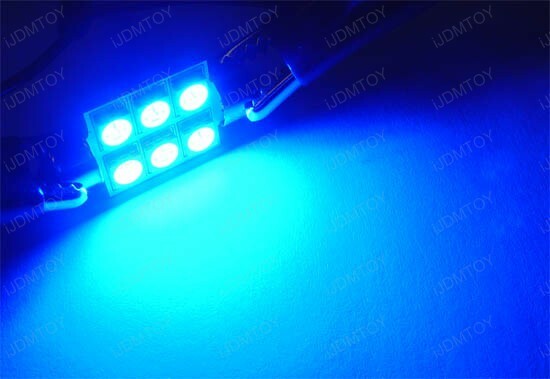 Each LED bulb equips with 3 pieces High Power 3-cell 5050 SMD CREE LED Chips, with built-in Load resistors, so they will work properly for European vehicle’s license plate lights.